Electric Gas EP Release Show! 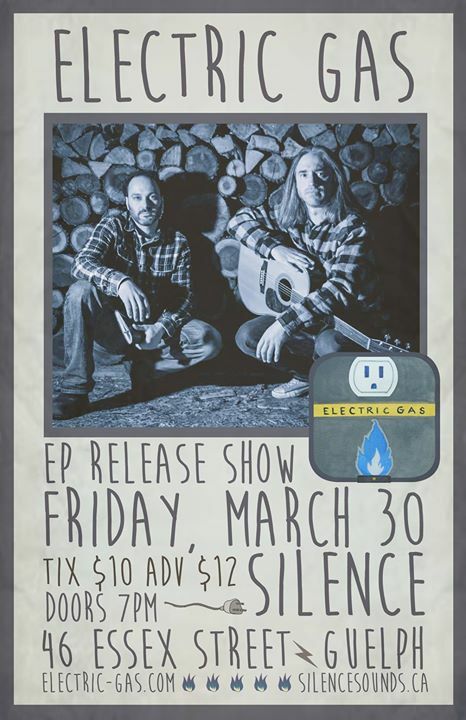 Electric Gas presents the release of their initial EP by performing at Silence in Guelph (46 Essex St) on Mar.30th. Jason Carraro and Chris Dallan have been writing and performing music since their childhood and will finally put their songs on display in an small intimate setting located downtown in Guelph. Tickets are available by visiting http://www.electric-gas.com or emailing jcarz@hotmail.com. $10 advanced, $12 at door.